All SHADYWOODS ONE homes currently listed for sale in Delray Beach as of 04/21/2019 are shown below. You can change the search criteria at any time by pressing the 'Change Search' button below. 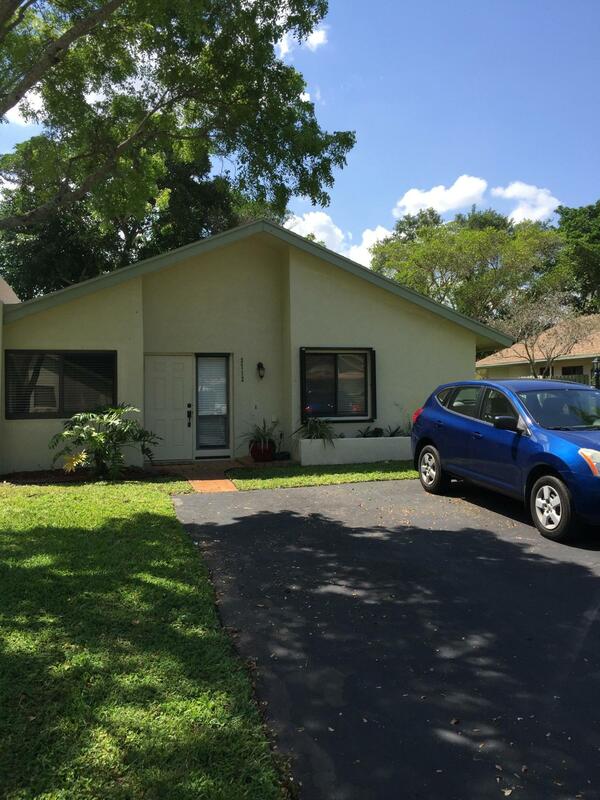 "LIGHT AND BRIGHT TWO BEDROOM, TWO BATH CORNER VILLA IN SHADYWOODS ONE, AN ALL AGES COMMUNITY. FRESHLY PAINTED, THIS UNIT FEATURES NEW LAMINATE FLOORING THROUGHOUT, TILE IN KITCHEN AND BATHS, BRAND NEW ELECTRICAL PANEL AND THERMOSTAT, STORM SHUTTERS ON EVERY OPENING EXCEPT KITCHEN WINDOW AND ONE BATH WHICH ARE NEW IMPACT WINDOWS. ENJOY YOUR PEACEFUL GARDEN VIEW FROM A SCREENED PATIO. VILLA HAS A LARGE DRIVEWAY, ROOM FOR MULTIPLE CARS. THE COMMUNITY HAS A LARGE SCREENED POOL, TENNIS COURTS AND A CLUBHOUSE. SHADYWOODS IS CLOSE TO SHOPPING, RESTAURANTS, DELRAY HOSPITAL, ENTERTAINMENT, I95, EVERYTHING!"